"Moussaoui" redirects here. For other persons, see Moosavi (name). Zacarias Moussaoui (Arabic: زكريا موسوي, Zakariyyā Mūsawī; born May 30, 1968) is a French citizen who pleaded guilty in U.S. federal court to conspiring to kill citizens of the United States as part of the September 11 attacks. As a result of his conviction, he is serving six life sentences without parole at the Federal ADX Supermax prison in Florence, Colorado. On August 16, 2001, Moussaoui was arrested in Minnesota by the FBI and charged with an immigration violation. He aroused suspicion while taking flight training courses in Eagan, Minnesota. On December 11, 2001, Moussaoui was indicted by a federal grand jury in United States District Court for the Eastern District of Virginia on six felony charges: conspiracy to commit acts of terrorism transcending national boundaries, conspiracy to commit aircraft piracy, conspiracy to destroy aircraft, conspiracy to use weapons of mass destruction, conspiracy to murder United States employees, and conspiracy to destroy property. Moussaoui was alleged by federal prosecutors to have been a replacement for the "first" 20th hijacker, possibly Ramzi bin al-Shibh. Bin al-Shibh and Zakariyah Essabar were denied visas. However, prosecutors in Moussaoui's drawn-out trial in the US had difficulty directly connecting him to the 19 participants. Moussaoui's trial was seen in some circles as a barometer of the ability and willingness of the United States to give a fair hearing to terrorism suspects. Others objected to the degree to which the court and especially Judge Leonie Brinkema tolerated the bizarre and threatening courtroom behavior of Moussaoui. Moussaoui expressed contempt for the trial and court by introducing legal motions deriding Judge Brinkema, surprised onlookers by electing to represent himself in court, and rankled federal prosecutors by requesting the presence of captured al-Qaeda members as witnesses in his case. During the trial, Moussaoui initially stated that he was not involved in the September 11 attacks, but that he was planning an attack of his own. Some al-Qaeda members reportedly corroborated Moussaoui's statement to an extent, saying that he was involved in a plot other than September 11, but prosecutors believed that his story had no merit. On April 3, 2006, Moussaoui was found to be eligible for the death penalty. Before leaving the courtroom, he was reported to have shouted, "You will never get my blood. God curse you all!" Later that month he withdrew his qualifications and again admitted guilt on all charges levied by the prosecution. On May 3, 2006, a jury decided against the death penalty for Moussaoui. The next day, he was sentenced to life in prison without parole. As he was led out of the courtroom, Moussaoui clapped his hands and said, "America, you lost ... I won." Judge Brinkema responded by telling him that he would "die with a whimper" and "never get a chance to speak again." According to the Associated Press, three jurors decided Moussaoui had only limited knowledge of the September 11 plot, and three described his role in the attacks as minor, if he had any role at all. Following sentencing, Moussaoui recanted his trial testimony stating he was not a member of the September 11, 2001, conspiracy, but "part of another al-Qaeda plot which was to occur after September 11." Aicha el-Wafi, Moussaoui's mother, was 14 when she was married to a man that she did not previously know, in Morocco. Five years later, Moussaoui's parents moved to France, where he was born. After enduring domestic violence, his mother left his father Omar while her four children were still young. She raised her children on a cleaner's wages. There was no religious education within the family. Witnesses testified at Moussaui's trial that, as first-generation immigrants from Morocco, the family frequently faced racism in their new country. From 1982, Moussaoui, his brother and sisters, were brought up in a bungalow on the edge of the town of Narbonne. His mother has said that she believes two 'wounding' incidents in his French adolescence contributed to the formation of an extremist sensibility: the first the day that his school careers adviser pushed him towards minor, technical studies, with "the clear implication that he was only an Arab and would need nothing more," and the second the day that the father of his teenage sweetheart warned him off because he was an Arab. "Don't think that you will ever get your feet under my table," the man said. " For Zacarias [his brother wrote in the Guardian], handball quickly became more than a sport—it was his passion. He was brilliant. Everyone recognized it—his trainers, his team-mates, even his opponents. For Zacarias, the future was all mapped out. He would study and play sports. Moussaoui has been known by other names, reportedly including Abu Khaled al Sahrawi and Shaquil while he was in Oklahoma. He holds a master's degree in International Business from South Bank University in London, having enrolled in 1993 and graduated in 1995. He attended, amongst others, the Brixton Mosque, where he may have met Richard Reid, the future shoe bomber. He was proselytised by groups such as al-Muhajiroun ("the Emigrants"), who leafleted people attending moderate mosques such as that in Brixton. Moussaoui was expelled from the Brixton mosque after he began wearing combat fatigues and a backpack to the mosque, and pressured the cleric to provide him with information on how to join the jihad. It is possible that he had connections with members of the Finsbury Park mosque, where the extremist Abu Hamza al-Masri taught. French authorities began monitoring Moussaoui in 1996 when they observed him with Islamic extremists in London. In 1998, he attended the Khalden training camp in Afghanistan, allegedly returning the next year as well. In September 2000, he visited Malaysia and stayed in a condominium owned by Yazid Sufaat who, in October 2000, signed letters identifying Moussaoui as a representative of his company. Two of the September 11 hijackers lived in the same condominium in January 2000. Jemaah Islamiah leader Riduan Ismauddin sent cohort Yazid Sufaat to provide Moussaoui with $35,000 USD and travel documents in Malaysia in October. From February 26 to May 29, 2001, Moussaoui attended flight training courses at Airman Flight School in Norman, Oklahoma. Despite 57 hours of flying lessons, he failed and left without ever having flown solo. This school was visited by Mohamed Atta and Marwan al-Shehhi, who piloted planes into the north and south towers of the World Trade Center. During his time in Norman, Moussaoui had a roommate named Hussein al-Attas. On August 11, 2001, Hussein al-Attas drove Moussaoui to Minnesota from Oklahoma. Hussein al-Attas said that he and Moussaoui planned to take a trip to New York City in late August/early September 2001. In 2002, al-Attas admitted that he lied to the FBI to conceal Moussaoui's name, lied to the inquisitive FBI to conceal Moussaoui's extremist jihadi and anti-American beliefs, lied to conceal his own tendencies, lied to conceal that Moussaoui had been trying to convince him to become more active in the jihad or struggle, and lied to conceal the names of other Middle Easterners who were taking flight lessons in Oklahoma. Moussaoui allegedly received US$14,000 in wire transfers from bin al-Shibh, originating from Düsseldorf and Hamburg, Germany, in early August. This money could have helped him pay for flight training about two weeks later at Pan-Am International Flight Academy in Eagan, Minnesota. On August 13, Moussaoui paid US$6,800 with US$100 bills to receive training in a 747-400 simulator. The simulator that Pan-Am uses is operated by Northwest Aerospace Training Corporation (NATCO), a training facility affiliated with Northwest Airlines. Moussaoui was reportedly considered as a replacement for Ziad Jarrah, who at one point threatened to withdraw from the scheme because of tensions amongst the plotters. Plans to include Moussaoui were never completed because the al-Qaeda hierarchy allegedly had doubts about his reliability. Clarence Prevost, the flight instructor assigned to Moussaoui, began to have suspicions about his student. His behavior largely resembled that of other seemingly wealthy men who had come to the center in the past to receive jumbo jet training despite the fact that they would likely never use it, but some characteristics were unusual. Prevost said later that in pre-simulator instruction, Moussaoui would ask questions that had the right jargon but were otherwise nonsensical. Moussaoui read through the 747 training manuals, but had a lack of understanding of the plane's systems. Prevost was confused as to why Moussaoui would seek simulator time if he lacked basic plane knowledge. After some convincing, his supervisors contacted the FBI, who came to meet with him. (Despite later reports, Moussaoui did not skip the training for takeoff and landing). On August 16, 2001, Moussaoui was arrested by Harry Samit of the FBI and INS agents in Minnesota and charged with an immigration violation. Materials itemized when he was arrested included a laptop computer, two knives, flight manuals pertaining to Boeing's 747 aircraft, a flight simulator computer program, fighting gloves and shin guards, and a computer disk with information about crop dusting. Some agents worried that his flight training had violent intentions, so the Minnesota bureau tried to get permission (sending over 70 emails in a week) to search his laptop, but they were turned down. FBI agent Coleen Rowley made an explicit request for permission to search Moussaoui's personal rooms. This request was first denied by her superior, Deputy General Counsel Marion "Spike" Bowman, and later rejected based upon FISA regulations (amended after 9/11 by the USA Patriot Act). Several further search attempts similarly failed. Ahmed Ressam, the captured al-Qaeda Millennium Bomber, was at the time sharing information with the US authorities, in an effort to gain leniency in his sentencing. One person whom he was not asked about until after 9/11, but whom he was able to identify when asked as having trained with him at al-Qaeda's Khalden Camp in Afghanistan, was Moussaoui. The 9/11 Commission Report opined that had Ressam been asked about Moussaoui, he would have broken the FBI's logjam. Had that happened, the Report opined, the U.S. might conceivably have disrupted or derailed the September 11 attacks altogether. On December 11, 2001, Moussaoui was indicted by a federal grand jury in United States District Court for the Eastern District of Virginia on six felony charges: conspiracy to commit acts of terrorism transcending national boundaries, conspiracy to commit aircraft piracy, conspiracy to destroy aircraft, conspiracy to use weapons of mass destruction, conspiracy to murder United States employees, and conspiracy to destroy property. The indictment of Zacarias Moussaoui named as unindicted co-conspirators Ramzi Bin al-Shibh and Mustafa al-Hawsawi, among others, for their role in the attack "to murder thousands of innocent people in New York, Virginia and Pennsylvania." On January 2, 2002, Moussaoui refused to enter any plea to the charges and so Judge Leonie Brinkema entered pleas of not guilty. A hearing was held on April 22, 2002, to determine his right to self-representation, for by then Moussaoui had declined the assistance of his court-appointed attorneys, and asked to defend himself. At another hearing on June 13, 2002, Brinkema deemed him competent to defend himself and allowed the case to move forward. However, Moussaoui later requested the occasional assistance of attorneys to help him with technical issues. Moussaoui admitted his involvement with al-Qaeda, but claimed he was not involved in the 9/11 attacks. Rather, he claimed that he was preparing for a separate attack. Khalid Sheikh Mohammed had earlier told investigators that Moussaoui met with him prior to September 11, but that he, Mohammed, chose not to use him. No evidence directly linking Moussaoui to the 9/11 attacks has yet been released. The trial highlighted a tension in the United States between the judiciary and national security. Moussaoui made requests for access to confidential documents and the right to call captive al-Qaeda members as witnesses, notably bin al-Shibh, Khalid Shaikh Mohammed, and Mustafa Ahmed al-Hawsawi. Both requests were claimed by prosecutors to be potential threats to national security. Brinkema denied the motion to access confidential documents, although Moussaoui was permitted to use several al-Qaeda prisoners as witnesses. Brinkema put the death penalty "off limits" on October 2, 2003, in reply to government defiance of her order to provide access to Moussaoui's witnesses. The Fourth Circuit Court of Appeals reversed the Brinkema ruling, holding that the U.S. government could use summaries of interviews/interrogations of these witnesses. On March 21, 2005, the United States Supreme Court, without comment, declined to hear Moussaoui's pre-trial appeal of the Fourth Circuit's decision, returning the case to Brinkema. On April 22, 2005, in one of the court sessions near the end of that phase of the proceedings, Moussaoui surprised the whole court by pleading guilty to all charges, while at the same time denying having any intention to produce a massacre like 9/11. He said that it was not his conspiracy, and that he intended to free Sheikh Omar Abdel-Rahman. According to Moussaoui, his master plan was to hijack a Boeing 747-400, since the plane is one of a few that could reach Afghanistan from the U.S. without any intermediate stops. On February 6, 2006, Moussaoui shouted "I am al-Qaeda. They do not represent me; they are Americans," referring to his attorneys while being escorted from the courtroom in front of 120 potential jurors. 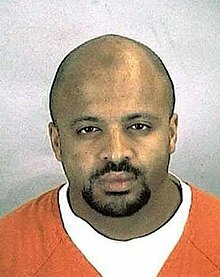 In March 2006, during the Moussaoui trial, several premises made headlines, including FBI agents stating that the bureau was aware, years before the attacks in 2001, that al-Qaeda planned to use planes to destroy important buildings, and Brinkema's decision to consider dismissal of the death penalty. However, days later, under significant media attention, Brinkema decided not to dismiss the case, and instead ruled that witnesses could not testify and the government would be allowed to continue to seek the death sentence against him. On March 27, 2006, Moussaoui testified that he and "shoe bomber" Richard Reid had planned to crash a hijacked airplane into the White House in the September 11 attacks. No direct connection between Moussaoui and Reid had ever before been alleged, and this testimony contradicted earlier testimony by Moussaoui that he had been intended for an operation after September 11. When asked why he had previously lied, he stated that "You're allowed to lie for jihad. You're allowed any technique to defeat your enemy." There has been commentary in the mainstream media that Moussaoui's preference to die as an identified 9/11 plotter rather than receive a life sentence as a member of an unrealized scheme throws doubt on his self-admitted connection to 9/11. January 2, 2002: Moussaoui stated, "In the name of Allah, I do not have anything to plea, and I enter no plea." April 22, 2002: Moussaoui tried to fire his court-appointed lawyers. Judge Brinkema took the request under advisement; on June 13, 2002, she ordered that he had the right to defend himself, and a search began for a Muslim lawyer. Moussaoui cited several suras of the Qur'an—including Al-i-imran 3:118, Al-anfal 8:36, Al-anfal 8:45, Al-i-Imran 3:175 and Al-An-am 6:162—to the judge as justification for firing his lawyers, proof of the government's and judge's corruption, confirmation of his innocence, and assurance that he was taking the best possible course of defense. He then prayed to Allah for the return of Al-Andalus (Spain and Portugal) and the deliverance of Ceuta, Melilla, India and Kashmir to the Muslims. He also prayed for the destruction of several nations—including Israel (and the Jewish people as a whole), Russia, Canada, UK, Australia, and the U.S.—and for the liberation of Palestine, Chechnya, and Afghanistan. The Court ordered a psychiatric evaluation in response. June 7, 2002: A court-appointed psychiatrist declared Moussaoui sufficiently competent for trial. Mental Status Enumeration: Axis 1; Acute symptoms of Islamophobia with complex of gender inferiority. Diagnostic Impressions: Legal pathological killer instinct with egoboasting dementia to become supreme. July 18, 2002: Moussaoui entered a guilty plea, stating, "I have knowledge and I participated in al-Qaeda. I am a member of al-Qaeda ... I pledge bayat to Osama bin Laden." The Court rejected the guilty plea as unconsidered and ordered Moussaoui to rethink his plea. The truth is that on several occasions, during the short time I knew him (Moussaoui) had expressed a general desire to participate in jihad, so my statement to the contrary was false ... When the agents asked if I (also) knew his real name, I lied and said I did not. Al-Attas stated that he told the FBI he was going to Pakistan to seek medical assistance for a sick relative in Saudi Arabia, but admitted, "The real reason was (Moussaoui) had convinced me to go to speak to Islamic scholars and others who hold the belief that Islamic religion favors participation in jihad." Furthermore, al-Attas admitted to lying about his plans to go with Moussaoui to New York City in late August, 2001. He also confessed that he lied about some of Moussaoui's classmates at an Oklahoma flight school. July 28, 2002: Moussaoui pleaded guilty to four of six counts of conspiracy. He denied charges of conspiracy to murder United States employees and destroy property. Today, I truthfully will enter on some of the charges, not all, a plea of guilty ... It should not be misunderstood that I endorse the entire indictment. There is enough factual basis for me to plead guilty in a truthful manner. The Court rejected the guilty plea as too informal and reappointed his counsel. Moussaoui's response to this order to work with court-appointed counsel was, "It is most disgusting." April 22, 2003: Moussaoui filed a pleading with the header shown below. In the pleading, Judge Brinkema is referred to as "Death Judge Leonie". Slave of Allah, Zacharias Moussaoui vs. The second pleading was titled No Pig Man Role in Moussaoui Deliverance Scenario and stated "To be seen in all God Fearing World Theatre Cinema. Deadline for 3000+ hotseat tickets (please contact United Booking Limited)." March 21, 2006: In response to al-Atta's testimony, Moussaoui commented, "God Bless Mohammed Atta." 10. During the plea colloquy I made it clear to the Court that I did not have knowledge of and was not a member of the plot to hijack and crash planes into buildings in September 11, 2001 but that I was part of another Al-Qaeda plot which was to occur after September 11, 2001. 11. My court appointed attorneys kept telling me that I should not testify and I thought that they would prevent me from testifying, so I decided to ask the government to let me testify as their witness. 12. It is my recollection that when the judge addressed the jury before my trial began, she informed the jury that I was part of the September 11 plot which further confirmed my distrust of the American justice system and further convinced me to testify since I was going to be given death for the September 11 plot anyway. 13. I decided to testify that I had knowledge of and was a member of the plot to hijack planes and crash them into buildings on September 11, 2001, even though I knew that was a complete fabrication. 14. I have never met Mohammed Atta and, while I may have seen a few of the other hijackers at the guesthouse, I never knew them or anything about their operation. 18. Because I now see that it is possible that I can receive a fair trial even with Americans as jurors and that I can have the opportunity to prove that I did not have any knowledge of and was not a member of the plot to hijack planes and crash them into buildings on September 11, 2001, I wish to withdraw my guilty plea and ask the Court for a new trial to prove my innocence of the September 11 plot. Additional case filings are posted online. Moussaoui, charged with conspiring to hijack planes and crash them into the World Trade Center and the Pentagon, was in jail in Minnesota when the Sept. 11 attacks unfolded. In seeking a death sentence, prosecutors were required to prove that he "intentionally participated in an act ... and the victim died as a direct result of the act." Moussaoui admitted he knew about the attacks and did nothing to stop them. Having entered a guilty plea, Moussaoui was eligible for the death penalty. Germany said it would not release evidence against Moussaoui unless the U.S. promised not to seek death as punishment. On April 27, 2005, French Justice Minister Dominique Perben said, "When France gave elements of information about Mr Moussaoui to the American justice, I obtained a written engagement of the United States not to use these elements to require or execute the death penalty." On March 14, 2006, Brinkema ruled that the prosecution could continue to seek the death penalty against Moussaoui, but could not use key witnesses coached by government lawyer Carla Martin. On April 3, 2006, the jury in his case decided that Moussaoui was eligible for the death penalty. At Moussaoui's sentencing trial, FBI agent Greg Jones testified that prior to the attacks, he urged his supervisor, Michael Maltbie, "to prevent Zacarias Moussaoui from flying a plane into the World Trade Center." Maltbie had refused to act on 70 requests from another agent, Harry Samit, to obtain a warrant to search Moussaoui's computer. On May 3, 2006, the jury reached a verdict: that Moussaoui be sentenced to life in prison without the possibility of parole. Moussaoui was sentenced to six consecutive life terms on May 4, as Judge Brinkema expressed her belief that the sentence was an appropriate one, inasmuch as it would deprive Moussaoui of "martyrdom in a great big bang of glory" and of the "chance to speak again", after Moussaoui entered the courtroom proclaiming his victory and asserting that the United States would "never get Osama bin Laden". As he was leaving the courtroom he said, "America, you lost and I won." And he clapped his hands twice. A single juror saved Moussaoui from death. The foreman of the 12-person federal jury told The Washington Post that the panel voted 11–1, 10–2 and 10–2 in favor of the death penalty on the three charges for which Moussaoui was eligible for execution. A unanimous vote on any one of the three terrorism charges was required to return a death sentence. On May 8, 2006, Moussaoui filed papers with the federal court in Alexandria, Virginia requesting to withdraw his guilty plea, stating that his earlier claim of participation in the September 11 plot was a "complete fabrication." He said that he was "extremely surprised" that he was not sentenced to death. "I now see that it is possible that I can receive a fair trial even with Americans as jurors," he said. However, federal sentencing rules forbid pleas to be withdrawn after a sentence has already been executed, and Moussaoui had already waived his rights to appeal. On May 13, 2006, Moussaoui was moved from his holding cell in Alexandria, Virginia and transported via JPATS to the supermax United States Penitentiary Administrative Maximum Facility, located near Florence, Colorado. The facility—considered the most secure federal penitentiary—is called the "Alcatraz of the Rockies". He has the Federal Bureau of Prisons number 51427-054. On July 31, 2006, the 1,202 exhibits presented during the case of United States v. Zacarias Moussaoui were posted online, marking the first time the exhibits of a criminal case in U.S. courts were so published. On November 20, 2007, Judge Brinkema publicly stated that the US government had provided incorrect information about evidence in the Moussaoui trial and that due to those actions, she was considering ordering a new trial in a related terrorism case, that of Ali al-Timimi, a Virginia Muslim cleric. Brinkema said that she could no longer trust the CIA and other government agencies on how they represent classified evidence in cases regarding terrorism after Moussaoui case prosecutors admitted that the CIA had assured her that no videotapes or audiotapes existed of interrogations of certain high-profile terrorism detainees, but later, in a letter made public November 13, two such videotapes and one audio tape were made known. [dead link] According to his testimony, the citizen had training in accounting and organized the Al Qaeda's finances. On May 23, 2006, an audio recording attributed to Osama bin Laden said in translation that Moussaoui "had no connection at all with September 11 ... I am the one in charge of the 19 brothers and I never assigned brother Zacarias to be with them in that mission ... Since Zacarias Moussaoui was still learning to fly, he wasn't number 20 in the group, as your government claimed". The voice alleged to be bin Laden also suggested that Moussaoui's confession was "void" as it was a result of pressures applied during his incarceration. Civil action is being taken by relatives of September 11 attacks victims, insurers and others against the Saudi Arabian government. In the course of this Zacarias Moussaoui has stated on oath and wrote to Judge George B. Daniels that Saudi royal family members helped finance the September 11 attacks and al-Qaeda. Prince Turki bin Faisal Al Saud, Prince Bandar Bin Sultan and Prince Al-Waleed bin Talal, of the Saudi royal family were specifically mentioned as Al-Qaeda donors—but the project's major patrons was Prince Salman bin Abdulaziz Al Saud, who in January 2015 became Saudi Arabia's king. Moussaoui's testimony provides new details of the extent and nature of that support in the pre-9/11 period. Judge Leonie M. Brinkema declared "Moussaoui is completely competent", called him "an extremely intelligent man" and added: "He has actually a better understanding of the legal system than some lawyers I've seen in court". The former Senators Bob Graham of Florida and Bob Kerrey of Nebraska and the former Navy secretary John Lehman believe the Saudi role in the 9/11 plot has never been adequately examined and they demand the release of 28 pages of the congressional report that explored Saudi connections and remain classified. Both the administrations of George W. Bush and Barack Obama have refused to declassify the 28 pages on grounds of "national security", but as Graham argues the opposite is true the real "threat to national security is non-disclosure": The Saudis know what they did and the U.S. knows what they did, and when the U.S. government takes a position of passivity, or actively shuts down inquiry, that sends a message to the Saudis. "They have continued, maybe accelerated their support for the most extreme form of Islam known as Wahhabism" he stated, arguing that both al Qaeda and Islamic State of Iraq and the Levant are "a creation of Saudi Arabia." On January 7, 2015, Graham, Congressmen Walter Jones and Stephen F. Lynch, and members of the 9/11 families including Terry Strada, national co-chair of the ″9/11 Families and Survivors United for Justice Against Terrorism″ held a press conference on Capitol Hill announcing the reintroduction of the resolution calling for the declassification of the 28 pages. Graham said that those pages "point a very strong finger at Saudi Arabia as the principal financier" of the 9/11 hijackers: "This may seem stale to some but it's as current as the headlines we see today," referring to the terrorist attack on a satirical newspaper Charlie Hebdo in Paris. On January 24, 2008, Clarence Prevost, the flight instructor who led authorities to Moussaoui, received a $5 million reward from the U.S. government. The payment was questioned by agent Coleen Rowley and Senators Amy Klobuchar and Norm Coleman, among others, on the basis that two other flight instructors had made the initial calls to the FBI. ^ a b "Zacarias Moussaoui Archived September 14, 2012, at the Wayback Machine." Federal Bureau of Prisons. Retrieved on January 5, 2010. ^ Stout, David (2006-02-14). "Moussaoui Is Banned from Courtroom". New York Times. Archived from the original on 2011-05-12. Retrieved 2015-02-20. The confessed Al Qaeda plotter Zacarias Moussaoui berated the judge today and was banned from the courtroom during the jury-selection process that will determine whether he lives or dies. ^ Judge hits back in Moussaoui spat. Archived February 20, 2009, at the Wayback Machine BBC News (2006-04-04). ^ a b The United States of America v. Zacarias Moussaoui: Defendant's Motion to Withdraw Guilty Plea (PDF). Archived March 9, 2016, at the Wayback Machine The United States District Court for the Eastern District of Virginia, May 2006, available at FindLaw.com. Also available at uscourts.gov (PDF). Archived May 17, 2006, at the Wayback Machine Retrieved on 2007-01-03. ^ Kennedy, Helen. Terrorist's mom gets hug. Archived May 23, 2006, at the Wayback Machine New York Daily News (2006-03-14). ^ Dominus, Susan (2003-02-09). "Everybody Has a Mother". The New York Times Magazine. Archived from the original on 2011-05-12. Retrieved 2015-02-20. He's not referring to Zacarias, who is being held in isolation in Virginia, charged with conspiracy in the Sept. 11 attacks. The waiter is talking about her other son, Abd-Samad Moussaoui, author of Zacarias, My Brother: The Making of a Terrorist, an account of his younger brother's life until 1995, when Zacarias was 27, after which the two fell permanently out of touch. ^ My Brother Zac. [permanent dead link] The Guardian Unlimited (2003-04-19). ^ a b c Hirschkorn, Phil and Deborah Feyerick. Friend of Moussaoui pleads guilty to making false statements. Archived October 30, 2006, at the Wayback Machine CNN (2002-07-22). ^ Woodward, Will. Hijack suspect was South Bank student. [permanent dead link] The Guardian (2001-10-06). ^ a b "Who is Richard Reid?". BBC News. 28 December 2001. Retrieved 2010-01-16. ^ Hoge, Warren (December 27, 2001). "A Nation challenged-the convert; Shoe-Bomb Suspect Fell in With Extremists". New York Times. Archived from the original on 2014-05-09. Retrieved 2010-01-16. ^ Jane Corbin (2003). "Al-Qaeda: in search of the terror network that threatens the world". Nation Books. p. 277. ISBN 978-1-56025-523-9. Retrieved 2015-02-20. In 1998 Reid disappeared from the Brixton Mosque. 'Towards the end I saw a change in him, from wearing the beard and garments towards wearing army jackets,' recalled Baker. ^ a b Hirschkorn, Phil. Roommate: Moussaoui saw jihad as way to paradise. Archived March 3, 2016, at the Wayback Machine CNN (2006-03-21). ^ Eggen, Dan (2005-04-23). "Questions Linger on Moussaoui's Role in 9/11". The Washington Post. Retrieved 2008-05-03. ^ a b "UNITED STATES OF AMERICA vs ZACARIAS MOUSSAOUI — Criminal No. 01-455-A" (PDF). CNN News. 2007. Retrieved 2007-09-09. ^ a b Markon, Jerry and Timothy Dwyer. Damning evidence highlights FBI bungles. Archived March 9, 2016, at the Wayback Machine The Sydney Morning Herald (March 22, 2006). ^ a b c National Commission on Terrorist Attacks upon the United States (2004). The 9/11 Commission report: final report of the National Commission on Terrorist Attacks upon the United States. W. W. Norton & Company. ISBN 0-393-06041-1. Retrieved February 28, 2010. ^ UNITED STATES OF AMERICA v. ZACARIAS MOUSSAOUI - Indictment. Archived July 15, 2009, at the Wayback Machine United States District Court for the Eastern District of Virginia Alexandria Division, United States Department of Justice, December 2001. Retrieved on 2007-01-03. ^ Moussaoui: 'I am al Qaeda'. Archived December 27, 2016, at the Wayback Machine CNN (2006-02-06). ^ Barakat, Matthew. Moussaoui Jury Watches Video Testimony. Archived February 16, 2007, at the Wayback Machine Associated Press (2006-03-08). ^ Government Can Seek Death Penalty In 9/11 Case. Archived February 22, 2012, at the Wayback Machine TheBostonChannel.com (2006-03-14). ^ Lithwick, Dahlia (2006-04-03). "When You Wish Upon a Scar: Zacarias Moussai finally makes his dream come true". Slate. Archived from the original on 2011-05-11. Retrieved 2015-02-20. When it looked like little Moussaoui was too small to play the outsized role the prosecutors had scripted for him, he simply grew himself to fit into it. Moussaoui's lies don't appear to have actually advanced the conspiracy of 9/11, but they have certainly forwarded the conspiracy to put him to death as a perpetrator of 9/11. ^ United States of America v. Zacarias Moussaoui, Memorandum of Law Regarding Defendant's Motion to Proceed pro se and Status of Counsel. Archived October 2, 2009, at the Wayback Machine The Smoking Gun. Retrieved on 2007-01-03. ^ Court transcript. Archived October 2, 2009, at the Wayback Machine The Smoking Gun. Retrieved on 2007-01-03. ^ Government's response to Standby Counsel Archived March 9, 2016, at the Wayback Machine at FindLaw.com. Retrieved on 2007-06-17. ^ Court notes. Archived February 8, 2006, at the Wayback Machine The Smoking Gun. Retrieved on 2007-01-03. ^ Court transcript. Archived November 7, 2005, at the Wayback Machine The Smoking Gun. Retrieved on 2007-01-03. ^ Moussaoui Roommate Pleads Guilty. Archived November 2, 2012, at the Wayback Machine CBS News (2002-07-22). ^ Moussaoui tries to plead guilty to four charges; then withdraws. Archived October 31, 2006, at the Wayback Machine Court TV News (2002-07-25). ^ Court notes. Archived October 2, 2009, at the Wayback Machine The Smoking Gun. Retrieved on 2007-06-17. ^ Court notes. Archived January 17, 2010, at the Wayback Machine The Smoking Gun. Retrieved on 2007-01-03. ^ Convicted al Qaeda Terrorist Facing Death Penalty Sentencing Trial. Archived May 4, 2006, at the Wayback Machine FindLaw Legal News: Special Coverage: War on Terror: Cases. Retrieved on 2007-01-03. ^ Moussaoui formally sentenced, still defiant. Archived October 20, 2012, at the Wayback Machine MSNBC (May 4, 2006). ^ One Juror Between Terrorist And Death. Washington Post (May 12, 2006). ^ Asseo, Laurie. Moussaoui Seeks to Withdraw Guilty Plea in Sept. 11 Attacks. Archived June 26, 2009, at the Wayback Machine Bloomberg (May 8, 2006). ^ "U.S. Marshals Deliver Zacarias Moussaoui to "ADMAX" Prison". [U.S. Marshals]. May 13, 2006. Archived from the original on January 9, 2009. Retrieved Feb 4, 2009. ^ "United States v. Zacarias Moussaoui Criminal, No. 01-455-A Trial Exhibits". United States District Court Eastern District of Virginia. Retrieved 2010-04-17. ^ Bin Laden: Moussaoui Wasn't Sept. 11 Conspirator. Archived February 18, 2013, at the Wayback Machine Fox News (2006-05-24). ^ Ben Hubard and Scott Shane (2015-02-04). "Pre-9/11 Ties Haunt Saudis as New Accusations Surface". Riyadh: The New York Times. p. A10. Archived from the original on 2015-02-08. Retrieved 2015-02-20. Yet Saudi Arabia continues to be haunted by what some suspect was a tacit alliance with Al Qaeda in the years before the Sept. 11, 2001, terrorist attacks. Those suspicions burst out in the open again this week with the disclosure of a prison deposition of a former Qaeda operative, Zacarias Moussaoui, who claimed that more than a dozen prominent Saudi figures were donors to the terror group and that a Saudi diplomat in Washington discussed with him a plot to shoot down Air Force One. ^ Scott Shane (2015-02-03). "Moussaoui Calls Saudi Princes Patrons of Al Qaeda". Washington DC: The New York Times. p. A1. Archived from the original on 2015-02-08. Retrieved 2015-02-20. The Qaeda member, Zacarias Moussaoui, wrote last year to Judge George B. Daniels of United States District Court for the Southern District of New York, who is presiding over a lawsuit filed against Saudi Arabia by relatives of those killed in the Sept. 11, 2001, terrorist attacks. He said he wanted to testify in the case, and after lengthy negotiations with Justice Department officials and the federal Bureau of Prisons, a team of lawyers was permitted to enter the prison and question him for two days last October. ^ Carl Hulse (2015-02-04). "Claims Against Saudis Cast New Light on Secret Pages of 9/11 Report". Washington DC: The New York Times. p. A10. Archived from the original on 2015-02-08. Retrieved 2015-02-20. Now new claims by Zacarias Moussaoui, a convicted former member of Al Qaeda, that he had high-level contact with officials of the Saudi government in the prelude to Sept. 11 have brought renewed attention to the inquiry's withheld findings, which lawmakers and relatives of those killed in the attacks have tried unsuccessfully to declassify. Moussaoui, Abd Samad. Zacarias My Brother (ISBN 1-58322-585-4). Moussaoui pleads guilty to role in 9/11 attacks. Guardian Unlimited/Associated Press (April 22, 2005). "Moussaoui formally sentenced, still defiant". Associated Press, MSNBC.com. Novak, Viveca. "How the Moussaoui Case Crumbled" TIME (October 27, 2003). Timeline: The Zacarias Moussaoui Case. CNN.com.